Time to wrap up the work on Apollo 13 and get it back into one piece for testing. 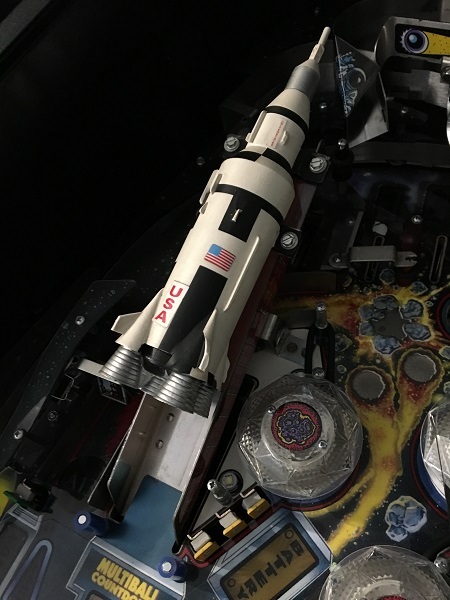 First item on my to do list in this update is the rocket assembly, as it’s the last outstanding part of the playfield to get a clean. Then I can go through the process of getting everything back together (which is mostly the rails) and test the game. The end is in sight, which is exciting as I’m keen to play (…test) it. Time to get started! 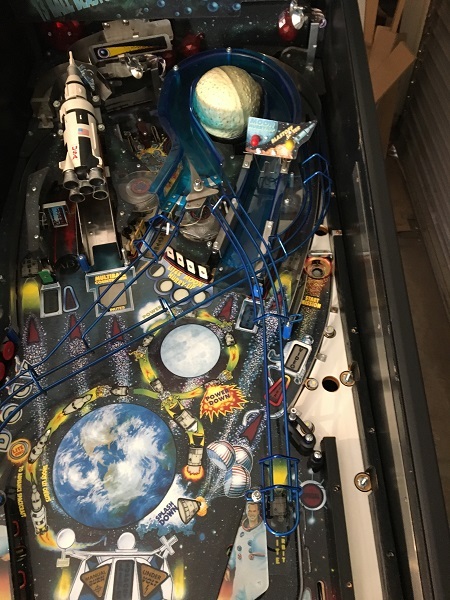 The rocket ship is the shot responsible for working towards the 13 ball multi ball mode. 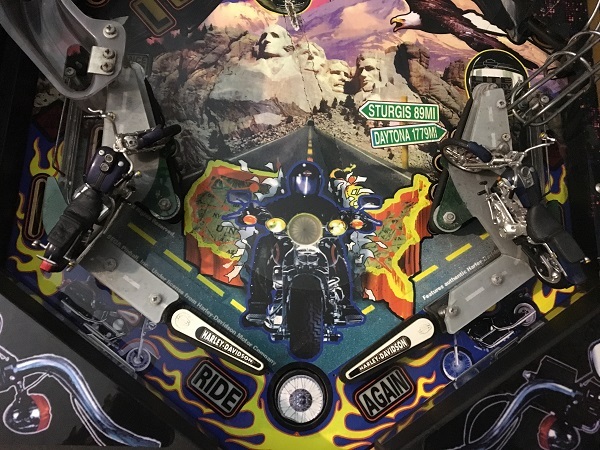 There is a ramp you shoot the ball up and a small assembly at the top which traps the ball, updates the countdown and then returns the ball back to the player. 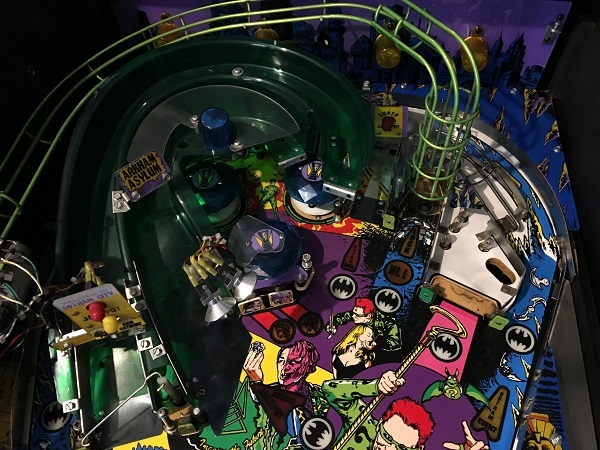 It is connected to a motor below the playfield, which performs a lift off and drops the ball into the large red ramp below the playfield. 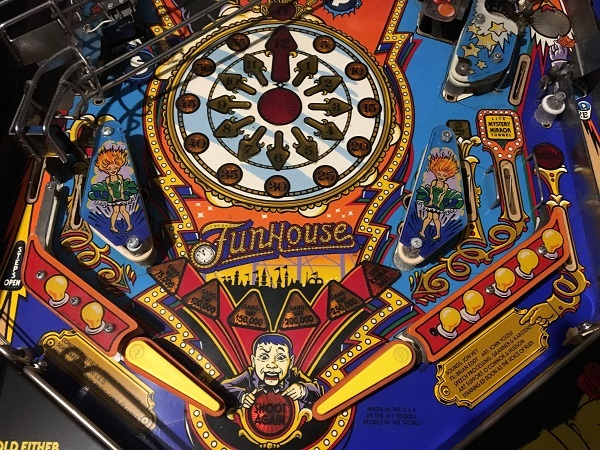 Now I feel like i’m getting back into the swing of pin updates 🙂 Progress on the Funhouse has been moving along smoothly this week, so I am keen to get another post up. For this update, I wanted to focus on the lower playfield area. In general, everything just needs a really good clean, although the sling shot plastics will be replaced. Some of the screws used on the clear posts are not correct and these will be replaced too. All up though, it’s a solid base to start with.